Exclusive Photos!! 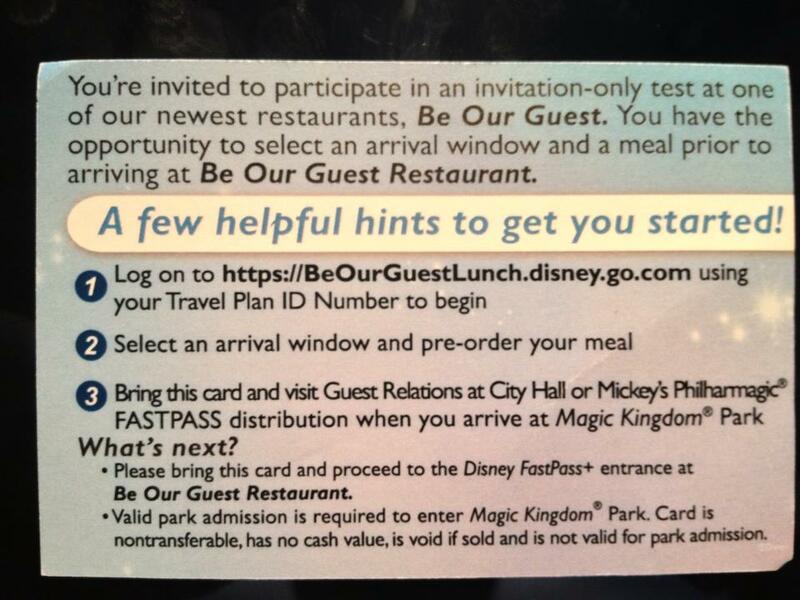 Be Our Guest Restaurant Testing FastPass+ Dining! 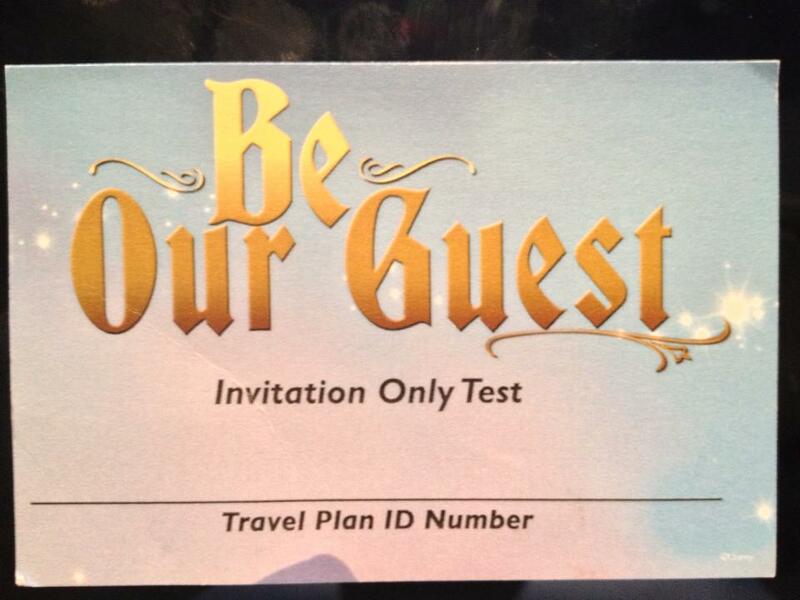 Back in February we shared news that there would be periodic testing going on for My Magic+ testing at Be Our Guest! 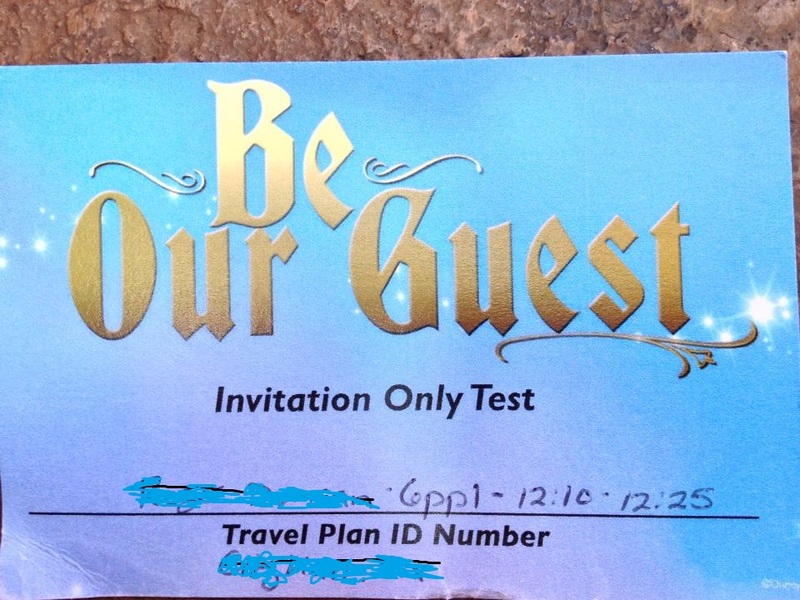 Just the THOUGHT of this happening at Be Our Guest in New Fantasyland makes me happy!! Why? Because I believe they have some of the absolute BEST food in the Magic Kingdom. I dream of having the grey stuff often. Doesn’t everyone? In fact, below you will see a photo explaining the only reason I don’t eat at Be Our Guest every single time I see the gates! 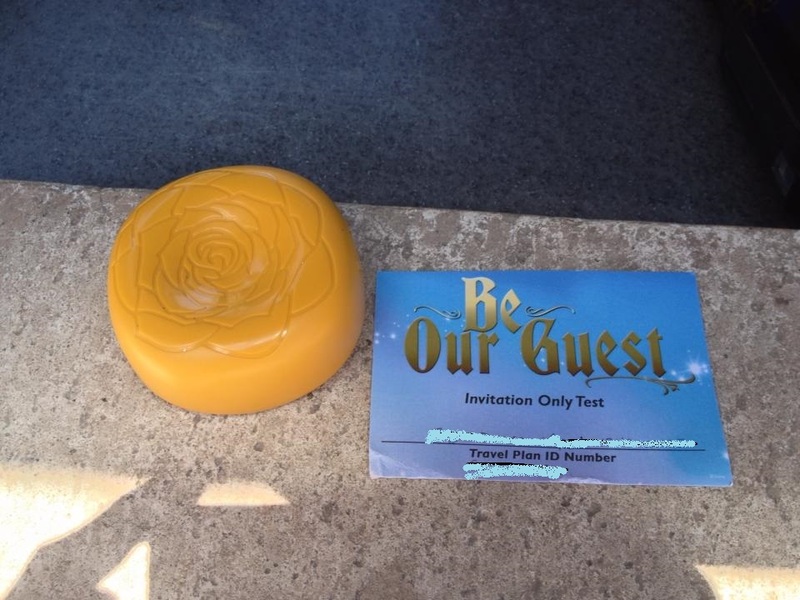 What you are seeing here is an actual Fast Pass+ that is being tested for the Be Our Guest Restaurant! These are very exclusive right now and by invitation only! I have to send a BIG thank you to Ramon Rodriguez for sharing these with us today! Here are a few more photos. I scribbled out the name and other info to protect the privacy of Ramon’s guests. If you are not already subscribed to get our updates by email – you will want to go ahead and do that now! We will soon have complete details on this awesome news, how Ramon was able to get these photos for us, and so much more!! March 20th 2013, Disney Annual Passholders Began Pickups for the New Touch to Enter Cards. Since so many Passholders love to visit during Epcot International Flower & Garden Festival, going on now through May 19, Walt Disney World is offering a convenient way to exchange your current paper annual Pass for a new card. The new entrances will eliminate the need for turnstiles. Running that paper card through the machine will be a thing of the past. Just touch your new plastic card to the Mickey head, scan your finger, wait for the green light – and you’re in! Got a stroller or a wheelchair? You will no longer have to wait for someone to open the gate! The folks that choose to have these cards will have a much faster wait time to enter the parks. At this time, the Odyssey Center is the only location where Passholders can receive the new cards. The Odyssey Center is open during regular park hours, and the best time to visit is Monday through Friday after 12:00 noon. 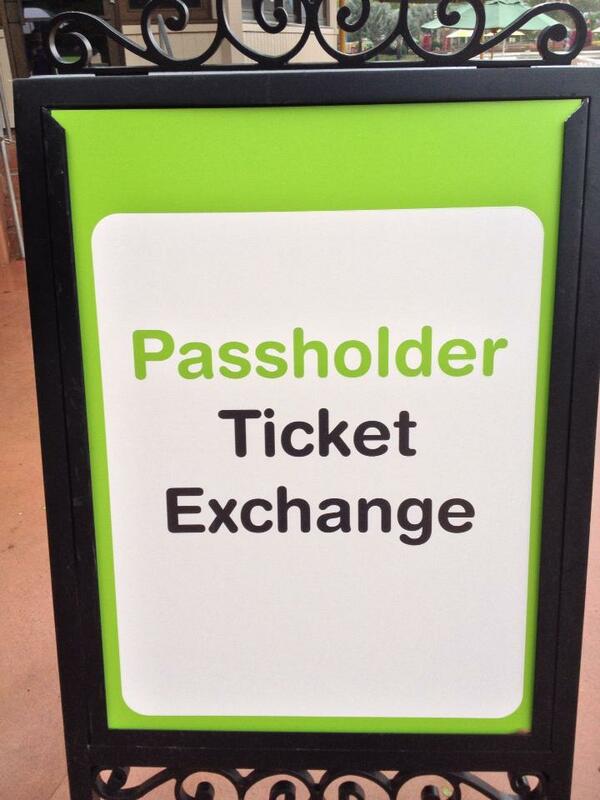 Main Entrance ticket windows are unable to exchange Passes for the new cards. In the coming months, we’ll provide more information here on other ways you’ll be able to exchange your Pass for a new card, (no worries if you can’t get here before May 12th!) 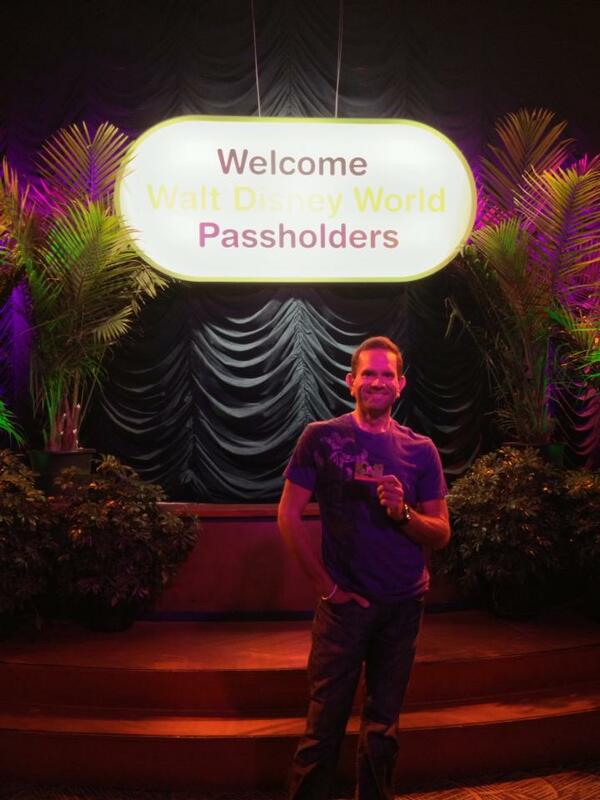 as well as more information on MyMagic+ and when MagicBands will be available to Passholders. Disney has not released info on the timing of these yet. Our Disneyways Man-on-the-Scene reporter Ramon Rodriguez, was the very first one in line- on the very first day – to get his new RFID card!! Ramon was able to get these terrific photos from Day One – to give us an idea of how the process works. We will have answers to your questions and more photos for you tomorrow! Send your questions to Disneyways@Disneyways.com or leave them in the comments below and we will answer them in the next blog on this subject.